Where Are All the North and East Bay Eichlers? 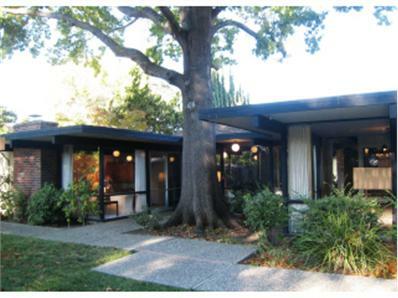 In the final installment of our examination of the current Eichler inventory shortage, we turn our gaze northward and eastward. Inventory in Marin and the East Bay is just as squeezed as in the South Bay and Peninsula, and for some of the same reasons – an influx of buyers and a static stock of housing. But in both areas realtors we spoke to also mentioned another factor: Senior citizens who have lived in their Eichlers for decades and are in no rush to leave. That’s not necessarily a good thing, Munson points out. “Many of them should not live alone anymore. It’s not just a question of the stairs, it’s not a question of the fact they like the radiant heating. It’s a question of older people needing to evaluate whether they are personally safe living in their home alone. Are they safe living in a location where they have no relatives for hundreds of miles?” But inertia is a powerful force, especially when you’re as comfortable as you can get in an Eichler. The difficulty in buying a home right now prevents some owners from selling, explained Heidi Slocomb, an Eichler specialist with Alain Pinel Realtors in Walnut Creek. “Listing inventory is the lowest I’ve seen in 30 years. It seems like there’s just nothing,” she said. With the Bay Area’s job market one of the best in the nation, and the housing market hotter than it’s been in half a decade, it can be easy to forget the economic woes that defined the last five years. But even in this hopeful time, their effects linger.